How to communicate on pests and invasive alien plants? A joint EPPO/CoE/IUCN ISSG Workshop will be organized on 2013-10-08/10 in Oeiras in Portugal at the kind invitation of the General Directorate of Food and Veterinary (Portuguese Plant Protection Organization), the Centre for Functional Ecology (University of Coimbra) and the Agrarian School of Coimbra (Instituto Politécnico de Coimbra). The workshop is aimed at civil servants, scientists, land managers, members of NGOs, journalists, and any other interested persons. Why organizing a workshop on communication on pests and invasive alien plants? Governments, Universities and NGOs are undertaking research on pests and invasive alien plants which have agricultural or environmental impacts and taking action to try to prevent the introduction and spread of these species or to control them. Despite this wealth of initiatives, stakeholders and the general public are rarely aware of what pests and invasive alien plants are and of the damage they cause. Raising the level of awareness of the civil society is an indispensable step for political decisions and legislation to be taken. Communicating on the topic of pests and invasive alien plants is difficult as it involves explaining what an alien species is, as well as describing their impacts. Scientists and civil servants working on these species are usually not trained in the use of communication tools and methods. Gathering examples of different communication tools and why some of these worked well and others did not and exploring the concepts underlying the perception that people have of these species would be valuable for those drafting guidelines on how to best communicate on pests and invasive alien plants. Examples of communication actions on pests and invasive alien plants exist in the EPPO region but few of these are widely known and no inventory exists. 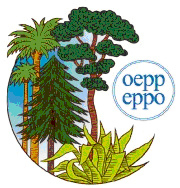 A survey will soon be launched by the EPPO Secretariat on the EPPO website to gather as many existing communication cases as possible and asking about their weaknesses and strengths. Ministries of Agriculture, Ministries of the Environment, NPPOs, Environmental Agencies, NGOs and Universities will be the target of this survey. All the gathered cases, coupled with a reflection with sociologists, anthropologists and experts in communication would help those elaborating guidelines on how to best communicate on pests and invasive alien plants. Previous research has already highlighted underlying concepts in biological invasions such as biocentrism and anthropocentrism as well as the interaction between nature and culture. These aspects should be explored further, as well as the difference in perception of the impacts on agricultural areas versus the “natural environment”. The workshop would be the starting point for the preliminary drafting of such guidelines. The workshop will provide an opportunity to exchange experiences across countries on communication actions on pests and invasive alien plants, with an emphasis on the strengths and weaknesses of the actions undertaken. Exchanging views and experiences between the agricultural and the environmental sectors will be a primary focus of the workshop. The workshop will also allow the constitution of a network of experts of various disciplines interested in this issue. Both the message to be sent and the tools that can be used (media, social networks, etc.) will be explored. The messages to be delivered to the different stakeholders will be considered as well (i.e. horticulturists, foresters, the general public, etc.). The workshop will be coupled with the ‘Invasive Plants Clean Up Day’ event, to be repeated if possible on a European scale the following year. During this day, the workshop participants will have the opportunity to help controlling some invasive alien plants in a protected area. The 3-day Workshop will be divided into two days of presentations and discussions, and one day for the Portuguese “Invasive Plants Clean Up Day”, taking place on the second day of the workshop. • Difficulties in communicating on pests and invasive alien plants, underlying concepts: How to explain negative impacts on agriculture, on biodiversity, health and the economy; the link to phytosanitary products; how to avoid the bias of ‘xenophobia’ (in terms of fear of foreign species); underlying concepts (biocentrism, nature/culture, etc.). • Experiences that worked, experiences that did not work: A wide array of experiences that worked, or that did not work will be presented, focusing on the message delivered, and the communication methods used: media, social networks, field trips to see the IAS in situ, communication materials, training courses, etc. The way the efficacy of methods used is evaluated will also be considered, as well as how different awareness methods are successful in changing behaviour and personal knowledge about IAS. • Adapting the message to the different stakeholders: Messages should be adapted to different stakeholders: involving farmers, involving the nursery industry through codes of conducts, involving the general public, etc. How to elaborate positive messages is an aspect that should be emphasized. • Involving the public in surveillance: citizen sciences: The involvement of citizens to report new findings of pests and invasive alien plants is increasingly used and building local networks is a key to success. The choice of species, of software, and the building of a network are of primary importance. Participants are kindly requested to register online as soon as possible and no later than 2013-09-01.